Oriental style, low level, Dock bed frame with Tatami mats and one of our Traditional 8 Layer lambswool and woolfelt futon mattresses in a choice fo Natural (off-white) or Black cotton drill fabrics. The Traditional 8 Layer Futon Mattress provides a firm but supportive sleep. The Dock bed frame is manufactured in European FSC Certified (managed forest) redwood pine for strength and durability. The frame is finished in a Wenge color giving it a dark chocolate look. The frame features a central rail and strong pine slatting for durability. 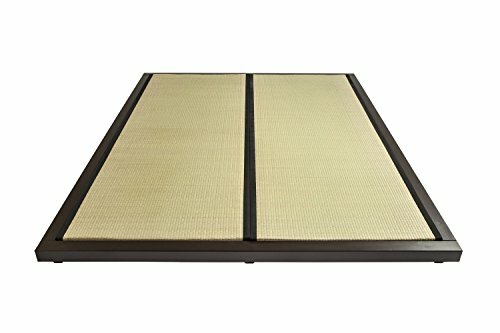 The Dock Bed set comes complete with two Tatami Mats, as per the picture. 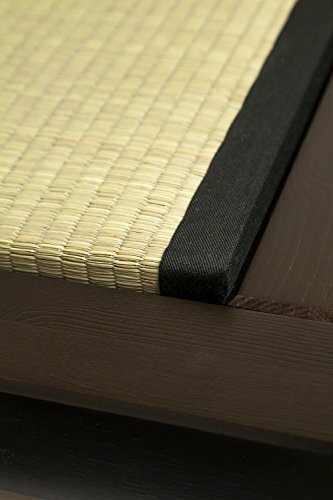 Tatami Mats are manufactured in a traditional way using compressed rice straw covered in a sea grass weave providing an authentic Japanese sleeping platform. 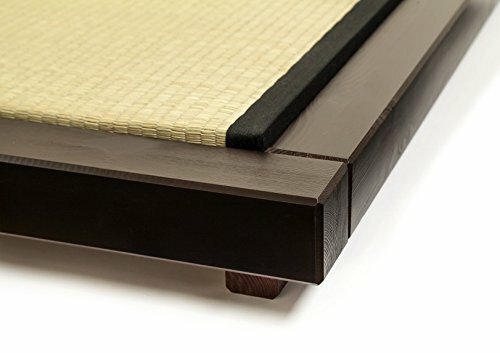 The Tatami mats neatly lay inside the bed frame to keep them secure. The futon mattress rests on top of the tatami mats. Well, if you are looking for the ‘full’ Oriental style look then the Dock Bed has to on your list! 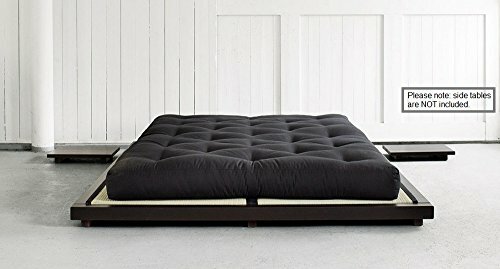 We love them here at the Futon Shop, the bed frames are well made, go together well and with minimum fuss, the tatami mats are authentic and robust and our own futon mattress finishes it all of by providing a typical futon mattress ‘firm but supportive’ feel through its 8 layers of lambswool and woolfelt. 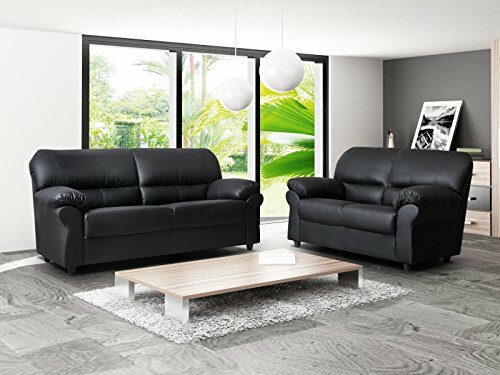 If you have any questions about product specification, dimensions or delivery…or in fact anything ‘futon’ please feel free to call us on 01752 662030. 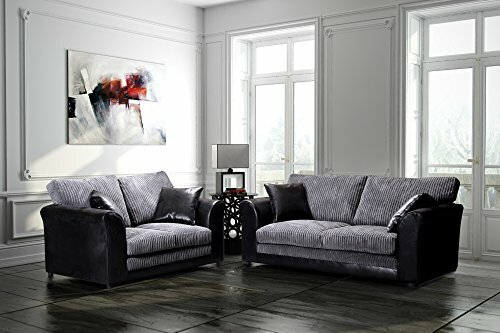 This bed set requires simple home assembly of the frame, please allow 45 to 60 mins for a first timer! If you have any questions please feel free to contact us. 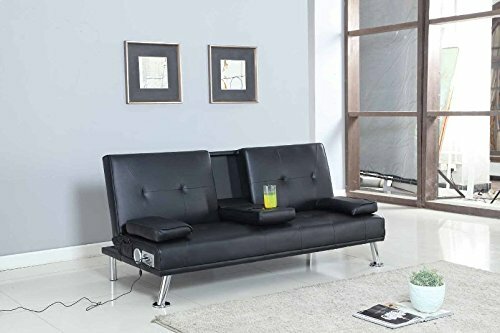 Two sizes are available with the following dimensions: Double size – bed length 213 cm (sleeping area 190 cm), bed width 173 cm (sleeping area 140 cm), bed height 25 cm to top of frame. Double size – bed length 213 cm (sleeping area 190 cm), bed width 173 cm (sleeping area 140 cm), bed height 25 cm to top of frame. King Size – bed length 213 cm (sleeping area 200 cm), bed width 193 cm (sleeping area 150 cm), bed height 25 cm to top of frame. If you have any questions on dimension please feel free to call us on 01752 662030. 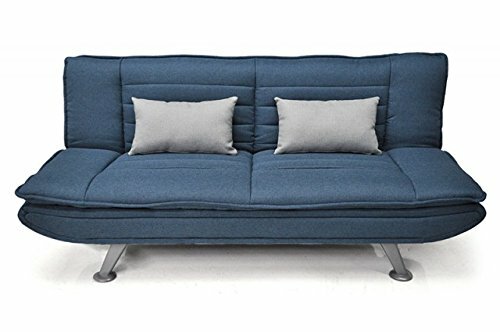 The Traditional Futon Mattress is 16 cm thick!